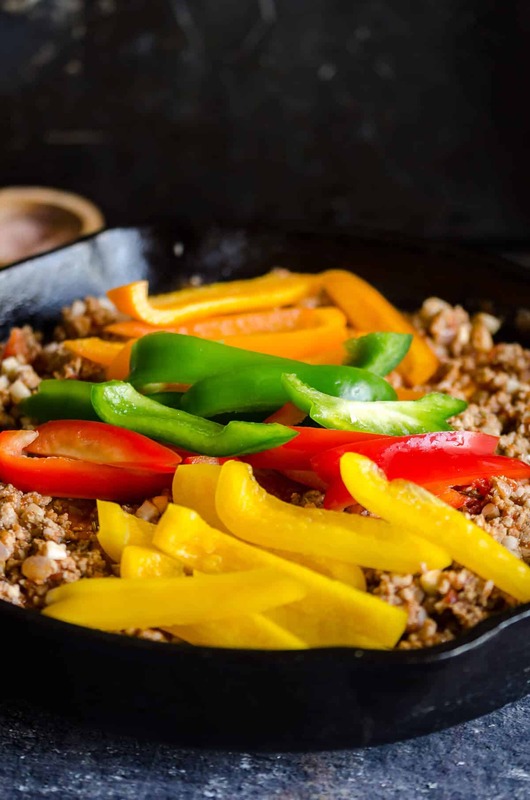 Unstuffed peppers made with ground turkey and cauliflower rice. It’s so much easier to eat than stuffed peppers! 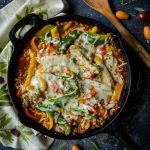 This healthy recipe is low carb and made in a skillet. Yay for one pan dinners! I’m honored to partner with Produce for Kids to bring you this recipe! All opinions are my own. 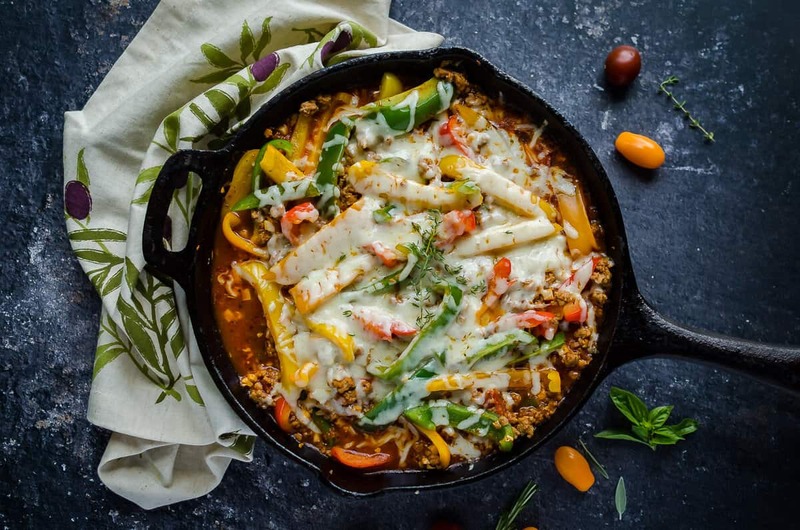 You just might never stuff them peppers again! 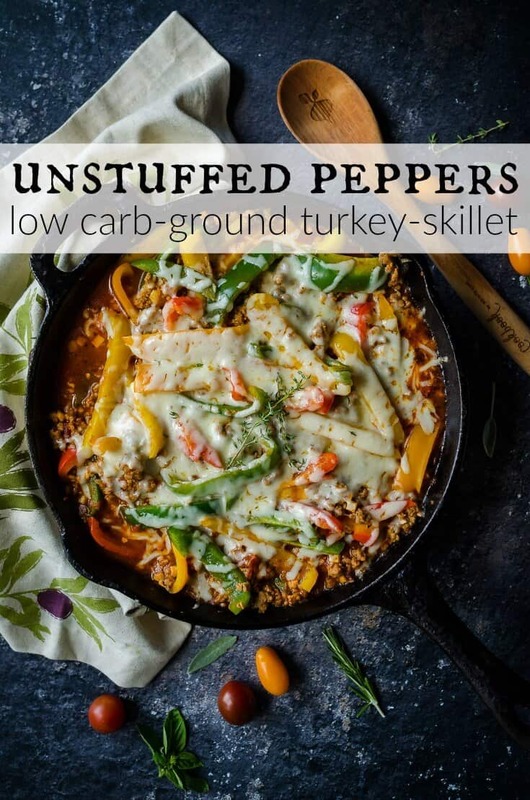 I recently discovered this idea of unstuffed peppers. I know, get with the program, right? I actually really enjoy stuffed peppers, these Asian Chicken stuffed peppers are a favorite around here. And there’s a great hack for making them easier to stuff in that post. That being said, it’s still true that they can be kind of tricky to prepare, and eat, especially if you have young kids. Enter the deconstructed version. Wa-laa! Presto! 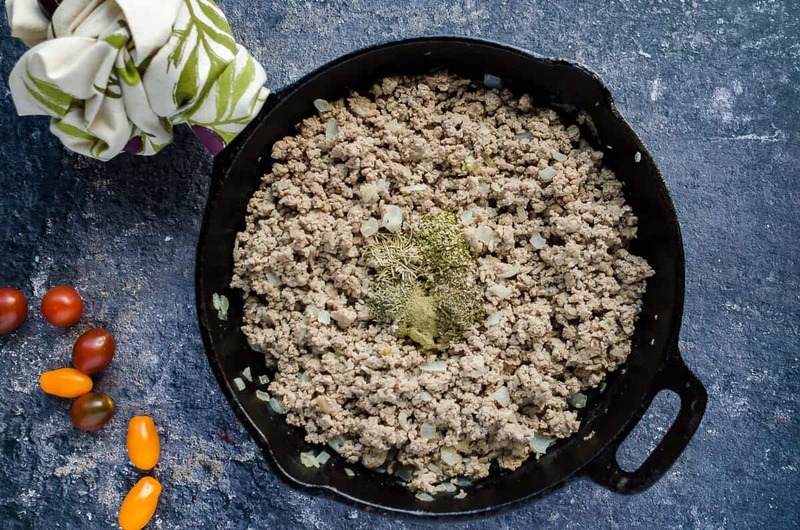 Pick your magic word, these are SO easy, made in ONE PAN, or skillet, and is proving to be one of the best ground turkey recipes around here. I think it’s even surpassed my Easy Turkey Skillet Dinner with Sweet Potatoes. It gets better… they are low carb because instead of rice, we’re using cauli-rice. You can totally still use rice if you prefer, but this cuts down on time too. Even though I don’t mind cooking at all, I know there are seasons where we need fast and easy. I like to change up our protein every so often, otherwise we get into a chicken or beef rut. Some family members are not big fans of fish, so ground turkey is one of the proteins I like to add to our choices. 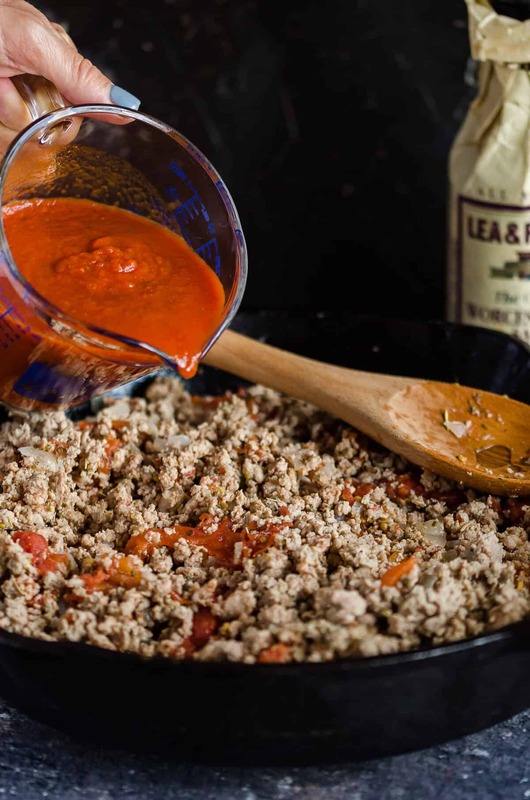 Is ground turkey better for you? It really depends on what you buy and the fat content. 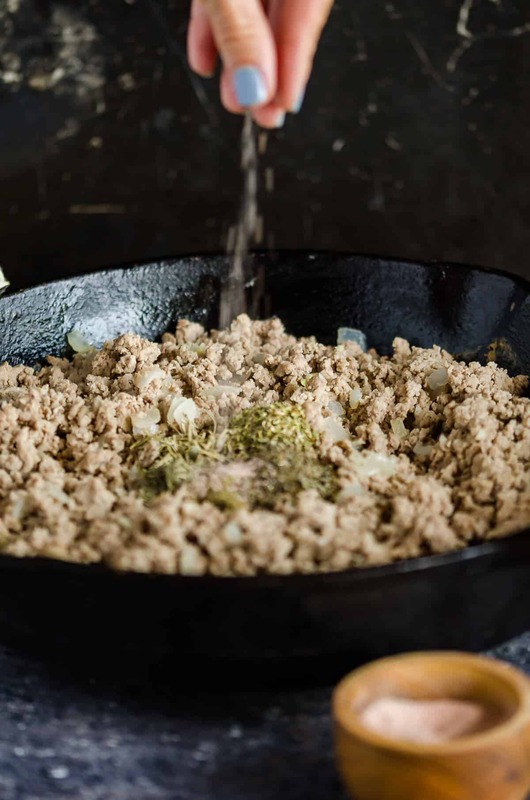 Ground turkey breast is more lean, but if you buy just ground turkey, it will probably have light and dark meat mixed in, so your fat content may be closer to ground beef. I always opt for the mixture, because we like it, and it has great flavor, but I always by the 93% lean. And I do the same with beef. Step One: Prep your ingredients. Chop the onions, slice the peppers, mince or press the garlic. Rice your cauliflower if you buy it whole, I like to use the fresh riced cauliflower that you find in the produce section to cut down on time. You can also use frozen. Grate the cheese. 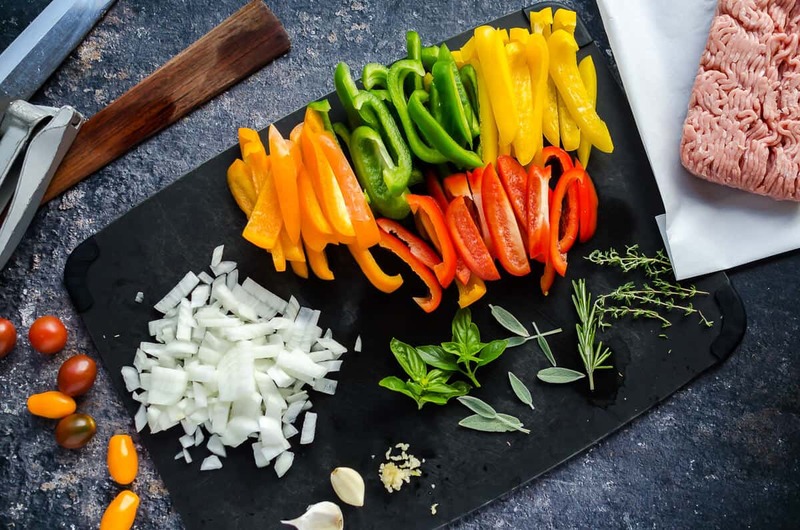 If you have 15 minutes or so earlier in the day, prep your veggies by getting the chopping done ahead of time. Theses veggies will keep just fine in the fridge. Measure out your spices, which will keep fine on the counter. Step Three: Add seasonings, sauce, tomatoes and peppers. Simmer for about 10 minutes, just until peppers are tender. Step Four: Bring on the cheese!!! ??? ?Add shredded cheese to the top and bake in the oven until melted, about 10 minutes. Drain the meat after browning to cut down on fat and liquid. Drain the tomatoes, the recipe will create enough liquid on it’s own. There still will be plenty of liquid, don’t let that scare you. It’s all juicy and goodness. I ❤️Real Sweet® Onions, they’re… well, sweet! Great for kids. 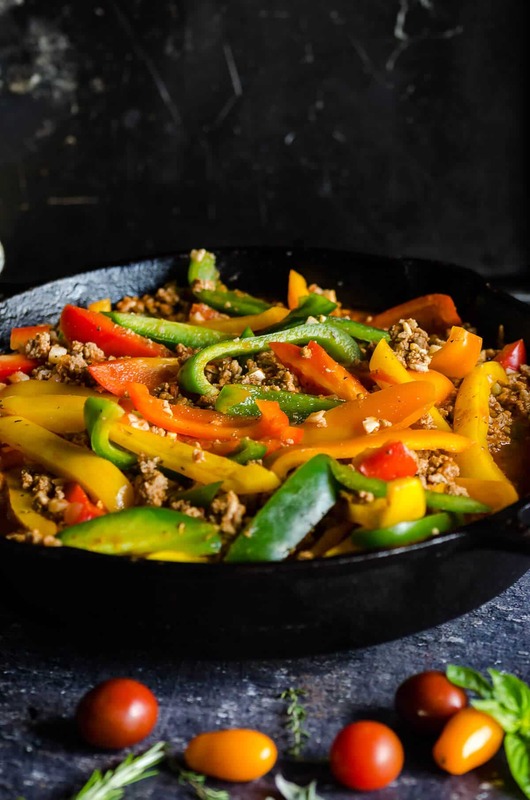 you can use only 1 color of bell peppers if desired. simplify your seasonings, use 1 tablespoon of Italian seasoning instead of the basil, oregano, rosemary, sage and thyme. Bread – I personally watch the carbs, but my kids don’t need to, so I typically have a whole grain bread or roll for them if needed. More veggies! Because it can’t hurt right? Produce for kids is one of my favorite brands because we share the same vision. I love teaching my kids about nutrition and being healthy and making wise choices. But let’s face it, they do get sick of hearing about it. Can you relate? Check out Jump with Jill with your kids. It has catchy songs and upbeat dance moves to engage kids on the subject of health and leave them empowered to eat better. Unstuffed peppers made with ground turkey and cauliflower rice. It's so much easier to eat than stuffed peppers! 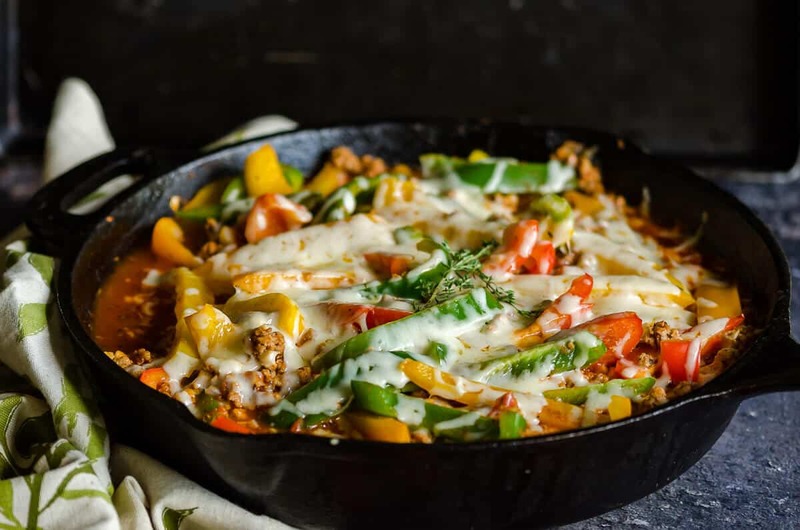 This healthy recipe is low carb and made in a skillet. Yay for one pan dinners! 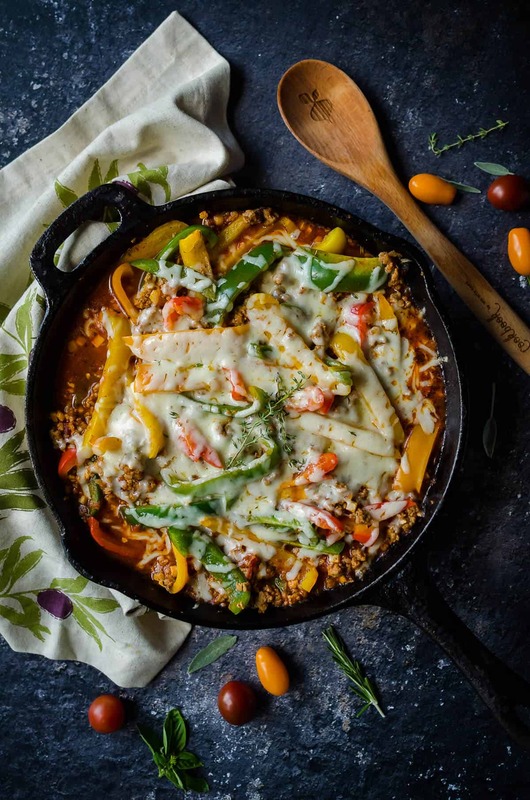 Warm Olive oil in a cast iron skillet or large oven proof skillet on medium high heat. Add onions and saute' until just tender. When the meat is browned, drain off the fat and return to the stove. Add in garlic, oregano, basil, rosemary, thyme, sage and salt, stir to combine. Add diced tomatoes, Worcestershire sauce, soy sauce, and marinara sauce and stir to mix. Add the riced cauliflower and simmer 5 minutes. Then add the bell peppers and simmer another 10 minutes or so. 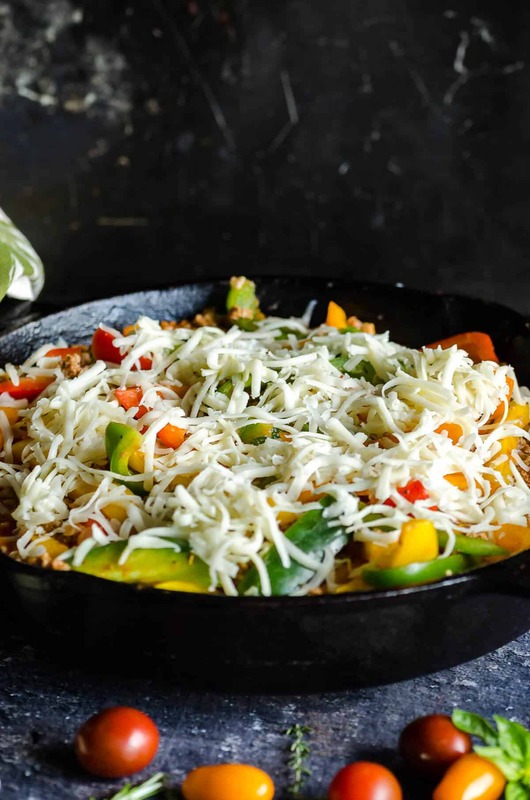 When the peppers are just tender, top with shredded cheese and bake in the oven until the cheese is melted, about 5-10 minutes.